Vous souhaitez poser une question à l'établissement The Siam Hotel ? 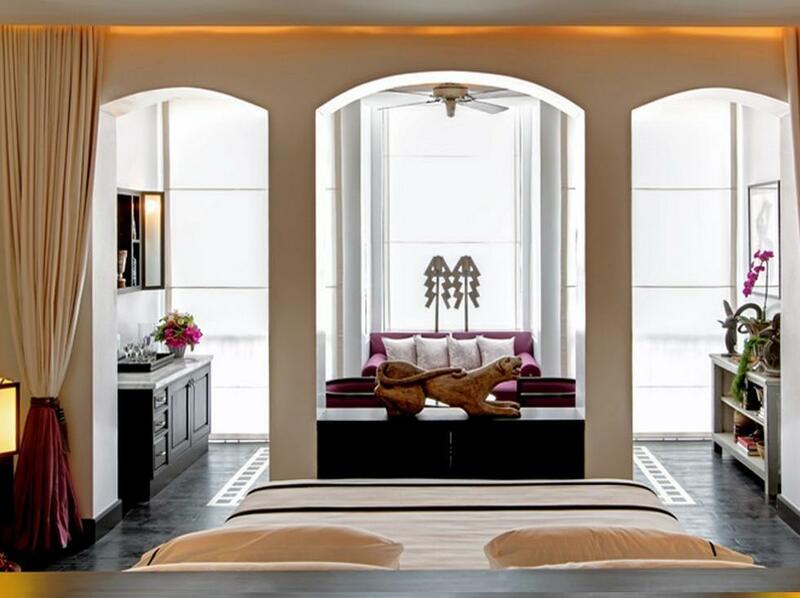 Conçu aussi bien pour les affaires que pour le tourisme, le The Siam Hotel est idéalement situé dans Riverside Bangkok, l'un des quartiers les plus en vogue de la ville. La position stratégique de l'hôtel, à seulement 6 km du centre-ville, permet aux clients de rejoindre facilement et rapidement de nombreux sites touristiques. Pour les visites et les sorties, pas besoin de chercher loin ! L'établissement est proche de remarquables points d'intérêts de la ville, tels que Pont de Krunghton, Palais de Sukhothai, Thewet Market. Les services et les équipements de qualité qui sont la marque de Siam Hotel Group vous attendent au The Siam Hotel. Afin d'assurer un confort optimal à ses clients, l'établissement propose, entre autres, service en chambre 24h/24, WiFi gratuit dans toutes les chambres, sécurité 24h/24, ménage quotidien, magasin de souvenirs. L'hôtel compte 39 chambres superbement aménagées : nombre d'entre elles sont dotées de télévision écran plat, piscine privée, internet sans fil (gratuit), chambres non-fumeurs, climatisation, et bien plus encore. Les installations récréatives de l'établissement, qui comprennent bateaux, salle de yoga, centre de fitness, sauna, piscine extérieure, assurent aux hôtes un sentiment d'évasion et de détente total. Le The Siam Hotel, où les séjours sont immanquablement agréables et dépourvus de tout souci, est un excellent choix à Bangkok. Exceptionnel ... du grand luxe. Décoration très raffinée, un vrai musée très intéressant, un grand plaisir des yeux ! Le personnel est parfait : très attentionné et discret. Gub notre "accompagnateur" durant nos 4 journées dans cet hôtel est d'un raffinement, d'une gentillesse et d'une disponibilité incomparables ! 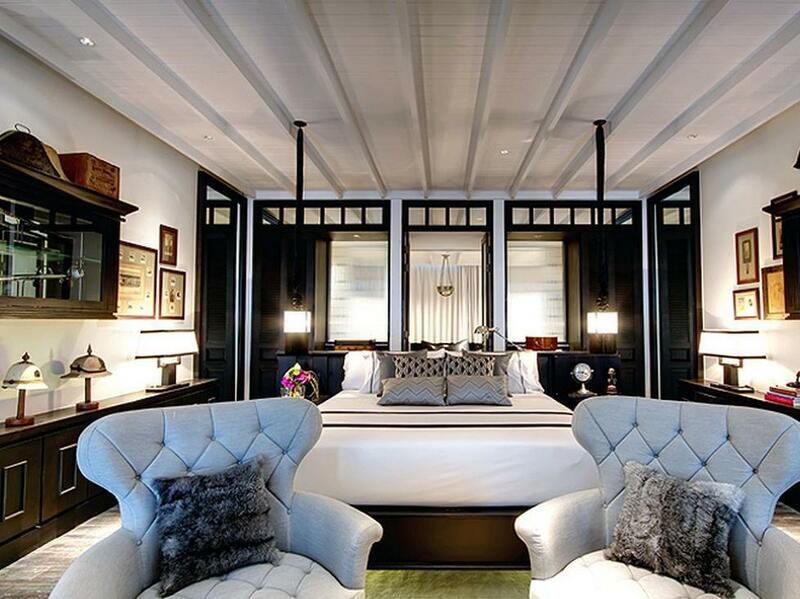 L'hôtel est certes éloigné de certains sites touristiques mais des navettes de 30 minutes sur Chao Praya sont prévues tout au long de la journée grâce au bateau de l'hôtel, ce qui rend les déplacements beaucoup plus agréables dans cette ville "bouillonnante". Nous avons également profité de l'Opium Spa de l'hôtel, qui est certes onéreux, mais notre après midi y a été absolument merveilleuse. Un petit bémol sur le restaurant Thaïlandais qui ne nous a pas enthousiasmé, peut être parce que, venant de l'île de La Réunion, nous sommes déjà familiarisés à ce type de nourriture qui nous a paru plutôt commune et moins "exotique" que pour d'autres vacanciers. Nous sommes restes une nuit dans cet hotel qui est pour moi sans doute le plus beau de Bangkok. Le vrai luxe... tres raffine. TB chambres avec TB salle de bain PArfait pour echapper a la frenesie de Bangkok. possibilite avec la navette privee d'etre pris en charge depuis le BTS Saphan Taksin, ou encore pour aller a China Town ou visiter le grand palais. il ne manquait que le "welcome drink"!! Un personnel au TOP ! Un hotel magnifique ! Alliance entre moderne et superbes antiquités ! Beautiful place to retreat and relax. Amazing Spa. Exceptional staff, especially our butler Sumet. Mosquitos are the only con for this place, but sprays and nets are offered. I will definitely visit again. If you require d a private and quiet break, then this is the best hotel for you. The design is good and the food they serve is one of the best in town. But if you are going to go to the market even late at night then it will be very inconvenient. Most of the time I will use their boat during the day time until 10 pm and you will say no more traffic jam in Bangkok. The is my choice of hotel in Bangkok and will definitely go back again and again. This has to be one of the best hotels I have ever stayed in. Words can’t describe it, it has to be experienced to be believed. It was a fabulous stay. Great service staff and ambience. Muay thai class was fantastic. Just be warned about the mozzies-lots by the riverside restaurants. Other than that, every single staff is very helpful! We stayed at The Siam Hotel for a weekend to relax and celebrate our wedding anniversary. The design of teh hotel is fantastic, with great attention to detail on all rooms and also throughout teh common spaces. The riverside pool is perfect for relaxing and the museum-like articles throughout teh hotel are fascinating. All the rooms look fantastic, especially the pool villas. Magnificent room and bathroom, great dining and the hotel is more like being in a great museum with all the artifacts. This is probably the best and most interesting hotel we have ever stayed in. More like a museum with great collections of various periods from all over the world. And the design of every single detail. Congratulations to the architect and the owners for their vision. This hotel MUST be experienced as words cannot aptly describe. Great interior design, friendly staffs, amazing food. We are having a wonderful time in here. I am celebrating my girlfriend's birthday and our engagement party. All staff are very helpful and excellent service from we get into the hotel. You shouldn't miss it. 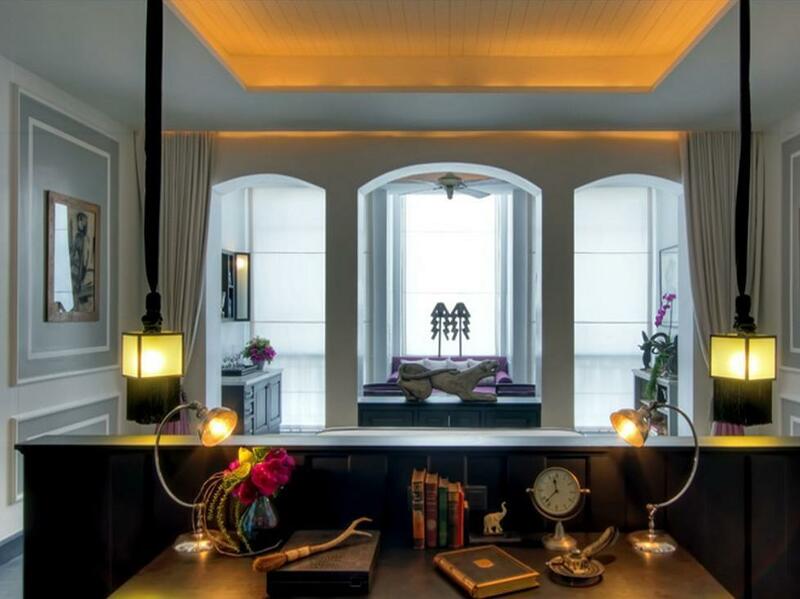 Spectacular river location, gorgeous rooms, decoration. Amazing staff. Attention to Detail. 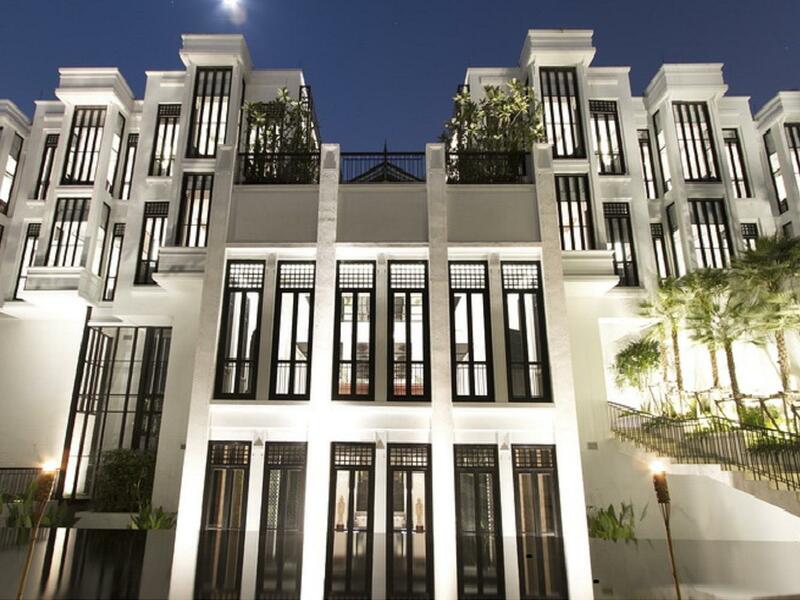 for those interested in boutique top-end luxury, there is no comparison for the siam. 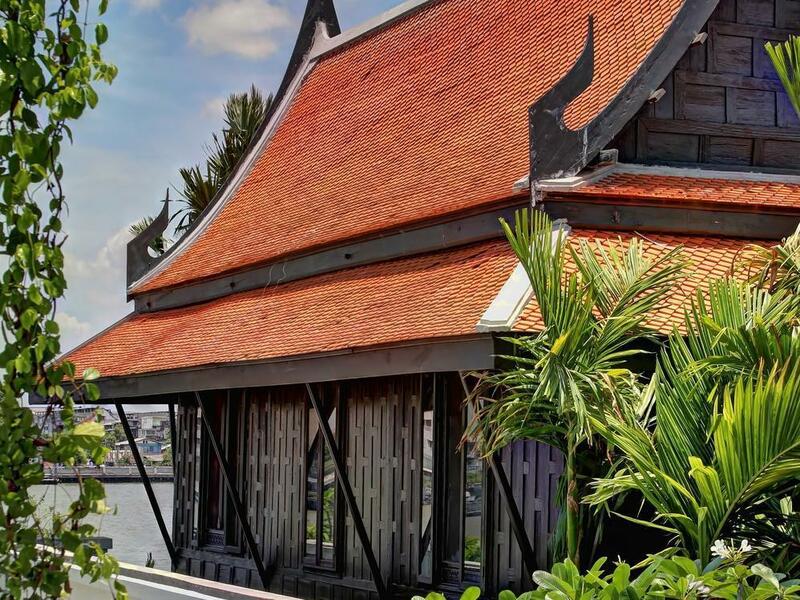 this spectacular river hotel has been furnished with thai antiques and the finest furniture, designs that money can buy. the hotel has a quiet regal feel with tons of space and few people. it is over the top romantic. river rooms for meals are actual jim thomson houses. 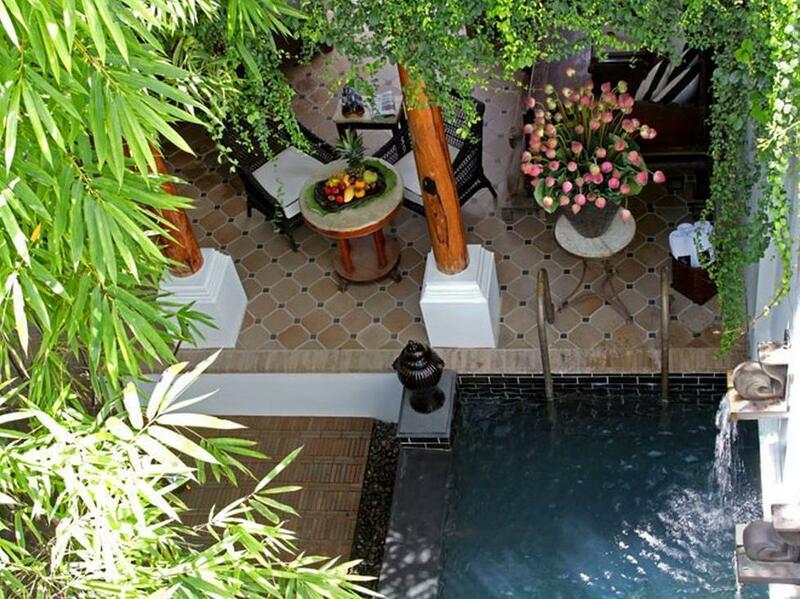 there are plunge pools in private villas that are fitting of royalty. the fitness center, gym and health club is the finest i have seen, with a full boxing ring. dining is excellent, and every detail of the hotel is unique, and one of a kind. this is a hotel for those who can afford it, and want the quiet exclusivity of a high-end hotel. the neighborhood is convenient for temples, river restaurants, but will take some time into the town center with traffic. if you have older people who have trouble getting around, make sure to choose the rooms in the main wing, and take your time walking around the grounds. 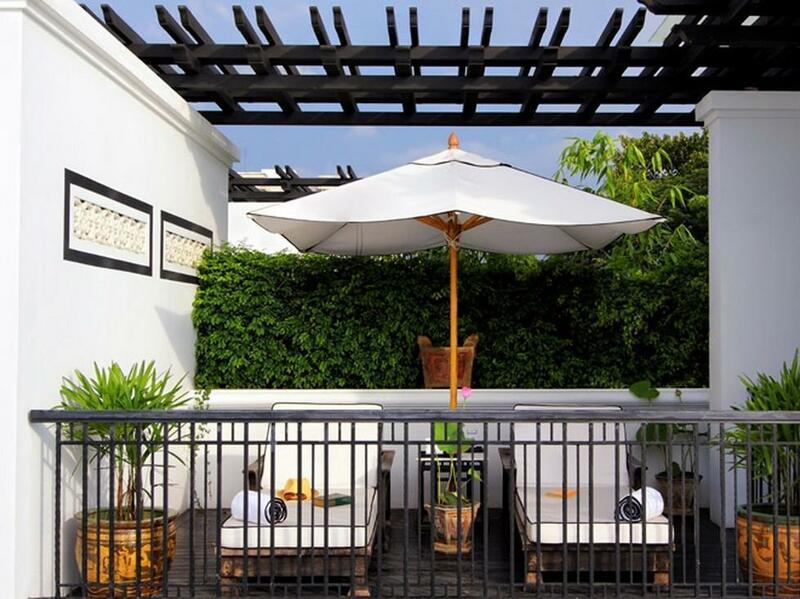 if you are on your honeymoon or want a romantic getaway in bangkok, you need not ever leave this hotel. i can't possibly tell you all the little gems, special features of this hotel. if you can afford it, i would book it. agoda had a great rate on this hotel and i'm guessing the price will rise over time as popularity increases. Far away from town, so better stay most time in the hotel. Hotel is so pretty, and service is really good. It's too bad that the location is far from Siam Station, but everything was perfect except that part. Next time I go to Bangkok, I will choose again. Happened to see some reviews of this hotel and thought I would come for some refreshness. Unexpectful and an unforgettable experience it was , meant it in a good sense. Recommend it to all couples and families who seek peaceful moment outside hustling Bangkok. Butlers are so kind, beautiful, pleasant(almost free from mosquito), clean, perfect breakfast, and so on. Everything was great except for the location. Its a distance away from the sukhumwit road, so taking a taxi is inevitable. Assurez-vous un tarif exceptionnel dans cet établissement.